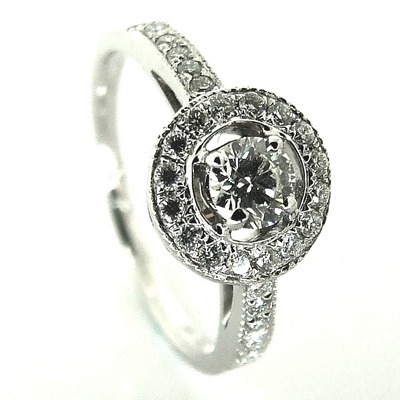 Diamond Circles - Modern, contemporary, classic, a beautiful diamond engagement ring. This incredibly beautiful diamond engagement ring is 18ct white gold. 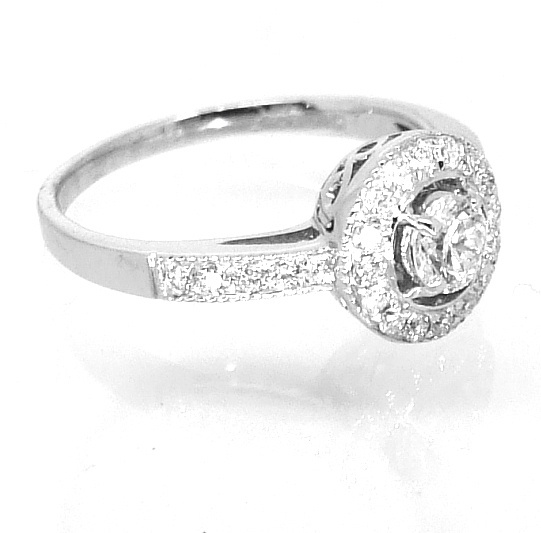 It holds one large diamond surrounded by a circle of ornate diamonds which also cover half of the band. The setting itself is detailed in a filigree influenced design.